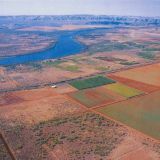 Trading or leasing water allows for water entitlements to be distributed amongst landholders in fully allocated resource areas. Is water available in your area? Check the Water Register. If you use, or plan to use, water in a fully allocated area, the information below may help you explore your options. 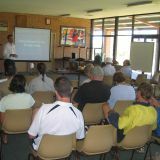 What is the difference between a licence to take water and a water entitlement? What are water transfers, trades and agreements? How do they differ? 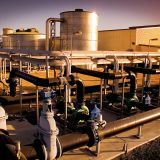 How do I apply for a water transfer, trade or agreement? 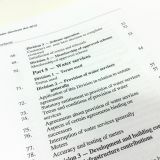 How will my application for a water transfer, trade or agreement be assessed? How are water trade values determined? Are there any tax implications associated with these transactions? Can I apply to transfer a licence to take water before I have legal access to the property? 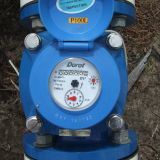 I have been using groundwater/surface water since I purchased my property. How do I know if I have a water licence? I am selling my property and hold a licence to take water. What are my legal obligations and what options do I have in relation to my licence? I don't use as much water as I used to. Do I lose my rights to the water if I don't use it? Can I sell a portion of my licence to take water? I have achieved permanent efficiency improvements (e.g. more efficient crop or better use of technology or infrastructure). Can I trade the water I am now no longer using? 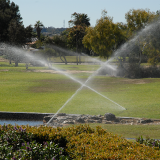 I have subdivided my property; can I transfer my water entitlement to several people? 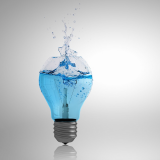 How do I find other licensees within my water resource area that I can trade or lease water with? 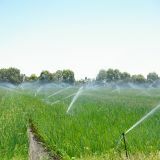 A licence to take water is issued under section 5C of the Rights in Water and Irrigation Act 1914.
any terms and conditions and restrictions relating to the taking and use of water. A water entitlement is the annual quantity in kilolitres (kL), that the licensee is entitled to take under a licence to take water. There is no guarantee that this volume of water is available and of a suitable quality for the intended use. A transfer takes place when a licence to take water is permanently transferred to another person and the water will continue to be taken from the same location. For example, a transfer could take place if there is a change in property ownership. A trade takes place when a water entitlement, or part of an entitlement, is permanently traded to another person and the water will be taken from another location and potentially use it for a different purpose. 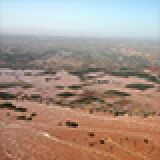 Trades typically occur in fully allocated water resource areas where new water entitlements are no longer available. An agreement is a form of lease and occurs via the temporary assignment of a licensed water entitlement, or part of an entitlement, by a licence holder to another party. The water may be used at the same or a different location. Agreements cannot exceed the term of the original licence. 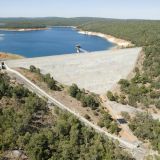 Transfers, trades and agreements can only take place within the same water resource area (i.e. same groundwater subarea and aquifer or same surface water area). Trading, transferring and leasing water can provide some monetary benefit to the licensee transferring or trading their entitlement. Stamp duty may apply to water entitlement transactions (see How are water trade values determined? Are there any tax implications associated with these transactions?). A licensee may allow access to, or formally lease land to a third party and allow them to use the licensed water entitlement. In this circumstance there is no obligation to seek the department's approval of a formal agreement, however, an approved agreement would enhance the rights of the third party and provide some protection to the licensee. 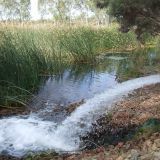 For more information, please refer to policy Water entitlement transactions for Western Australia. Applications for trades, transfers and agreements can be made via the Water Online Customer Portal. Note that all parties to the transaction will need to be registered users. To transfer the Licence to take water to a new owner on the same property, you will need to complete a Form 4T Application for transfer of licence. To trade all or part of the water entitlement of a licence to a different person on a different property, you will need to complete a Form 4T Application for transfer of water entitlement. 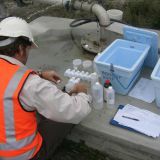 To enter into an agreement to lease a water entitlement for a temporary period of time, not exceeding the duration of the original licence, you will need to seek the department's approval by completing Form 4A Application for approval of agreement to take water under an existing licence . A non-refundable fee of $200 applies for all transfer, trade and agreement applications. 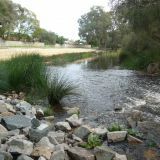 Transfer or trade applications linked with a proposed land sale must be submitted to the Department of Water and Environmental Regulation using the relevant form or online, prior to or within 30 days of property settlement, unless the department is notified using a Form 6 Notice that licence holder is not or may not be eligible to hold a licence. Each application is assessed on an individual, transparent and equitable basis in accordance with the requirements of the Rights in Water and Irrigation Act 1914.For further information on the assessment process refer to How to apply for a licence or permit. The original licence document must be returned to the department. The transferrer of the licence must provide the department with written approval of all relevant third parties (e.g. agreement holders or security interests). 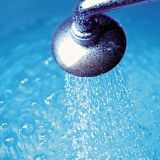 The department may request the transferee to advertise the potential transfer, trade or agreement if the proposal involves a significant volume of water or is potentially contentious in nature. 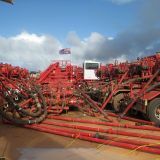 The department may undertake an inspection of the licensed property to ensure that the licence conditions are being met. 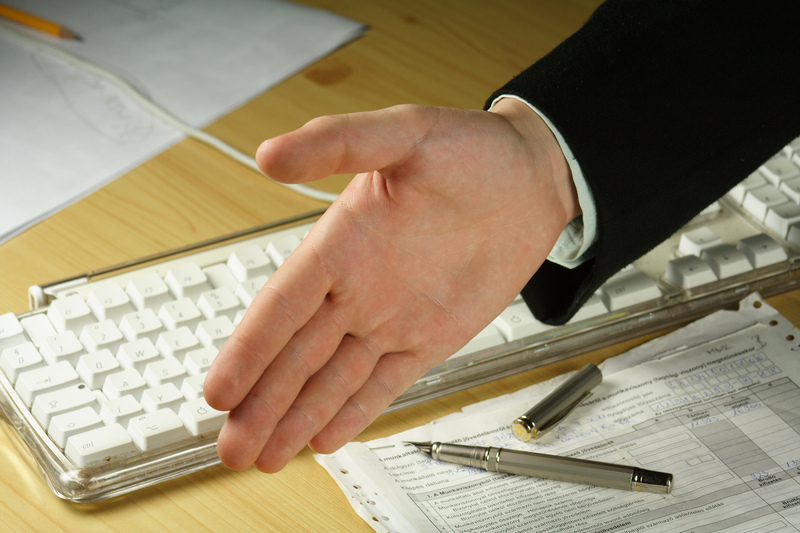 The value of a transfer, trade or agreement licence is negotiated between the transferee (purchaser) and the transferrer (vendor). The financial value (amount paid for the licence) must be stated on the application form submitted to the department. The department does not determine water trade values and is unable to provide information relating to this matter. 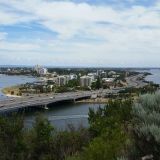 Note: Capital gains tax may be payable on the value of a transaction of a water licence acquired after 19 September 1985 – check with the Australian Taxation Office. A water licence is dutiable property and the transfer of dutiable property is classified as a dutiable transaction under the Duties Act 2008. Therefore, the transfer of a water licence, or a water entitlement under a licence, is subject to duty. Stamp duty is not payable on Agreements (lease arrangements). Indicate if the value of the water transaction is included as part of a property sale. If it is, duty is not payable. The department may return an application if the applicant has not provided the necessary information. For more information refer to the department's Regulatory Standard Stamp duty requirements for water licensing or contact the Office of State Revenue. Yes. You may apply to transfer a licence before you have legal access to the property. 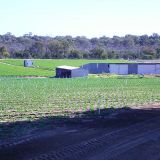 When a licence transfer is linked with a proposed land sale, and all requirements are met during the assessment process, the department may issue a Letter of Undertaking. 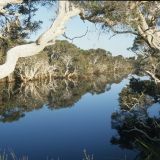 The licence to take water can be issued once proof of legal access to the land has been provided. Refer to Do I need a licence or permit?. If you are unsure if there is a licence or permit on your property you can and search for your property on the Water Register. If you are still unsure of your licensing obligations, you must contact the department to discuss your options. apply for a new licence, (refer to How to apply for a licence or permit). Note: If your water resource area has reached its allocation limit then your application for a new licence to take water may be refused, in which case you may need to find an alternative water source. 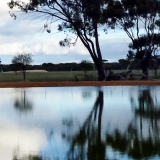 You may seek to trade or lease water from another licence holder in your water resource area. It is the responsibility of the licence holder to advise the department of the proposed change in ownership, prior to settlement. 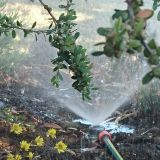 A 30 day grace period is provided to allow matters relating to the water licence to be arranged. When your property settlement is complete, you no longer have legal access to that property and you are no longer eligible to hold a licence. amend your licence for use on a new property you are acquiring in the same resource area. These applications can be made via the Water Online Customer portal. Alternatively, if you are not ready to make a decision, you can delay the termination of your licence for up to six months by submitting a Form 6 Notice that licence holder is not or may not be eligible to hold a licence. Up until this extended termination date, you can still apply to trade your entitlement, transfer or amend your licence, or surrender it to the department. If there is no interest to trade the entitlement, or transfer or amend the licence, you may surrender your licence to the department. Note: In situations where you fail to notify the department within 30 days of settlement that you are no longer eligible to hold a licence, we will terminate your licence. Applications are also accepted on paper-based forms. To transfer the licence to the new landowner on the same property complete Form 4T Application for transfer of licence. To trade the entitlement to another party on a different property, complete Form 4T Application for transfer of water entitlement. To amend your licence for use on a new property you are acquiring in the same resource area, complete Form 3G Application for a 5C licence to take groundwater or a Form 3S Application for a 5C licence to take surface water. I don't use as much water as I used to. Do I lose my rights to the water if I don't use it? If your licence is not being actively used, the department will look to recoup the portion of the water entitlement that is not being used. You would be notified and given the opportunity to use or demonstrate how you propose to use your water entitlement before it is recouped. Water not being actively used is considered an unused water entitlement. Note: Each application is subject to assessment by the department and there may be circumstances (such as the water resource being under stress) that may prevent a water entitlement being transferred or traded. Yes. Subject to the assessment process for trades, transfers and agreements (see How will my application for a water transfer, trade or agreement be assessed?, you can apply to transfer your water entitlement to several people. You will need to make a separate application for each transfer, prior to, or within 30 days of property settlement. If you choose to maintain your licence for your own use you will still need to amend your licence to reflect the new property details. 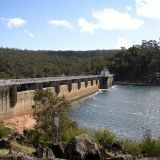 The department maintains a register of water licences within the state. 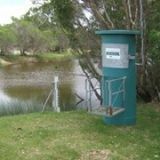 If you are a potential transferee (purchaser) of a water entitlement and are looking to buy or lease a water entitlement within your water resource area, the department's online Water Register can be used to search, view and print licensing and water availability information for a property or area. Licensees with water available to trade sometimes place newspaper advertisements. If you are transferrer (vendor) looking for a potential transferee (purchaser), you may wish to advertise your water entitlement in local, state or national newspapers. Any application to trade or lease water will be subject to the department's assessment process. 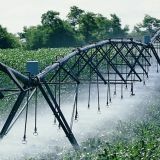 This FAQ topic deals only with processes and approvals under the Rights in Water and Irrigation Act 1914.